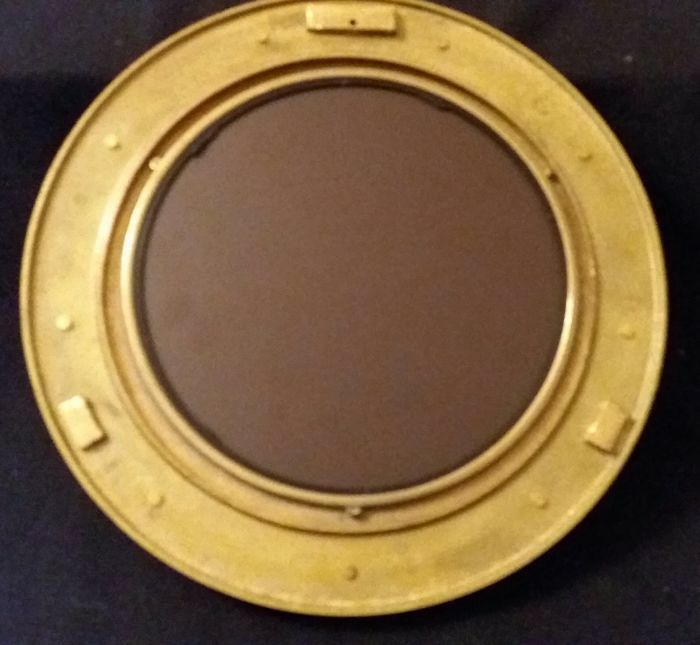 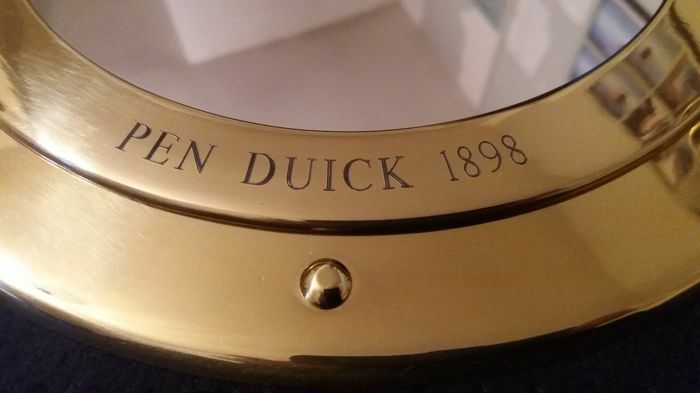 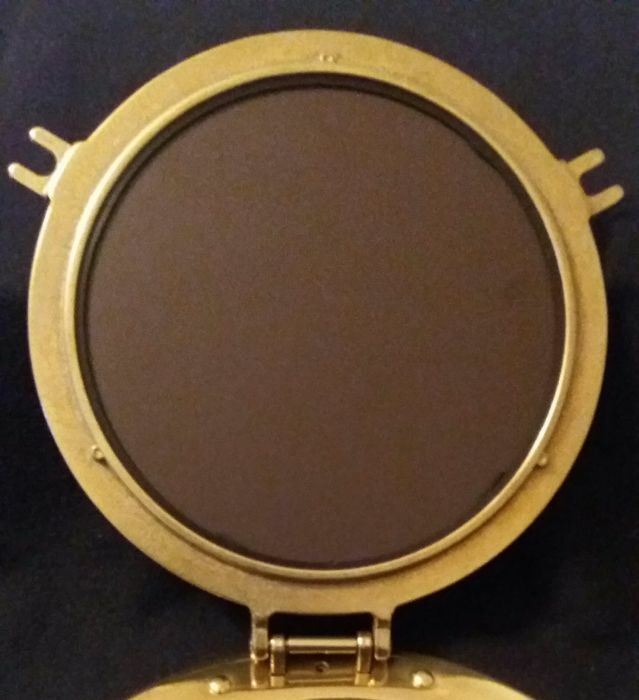 This brass porthole mirror with a golden finish has a round diameter of 30 cm and the mirror has a diameter of 20 cm. 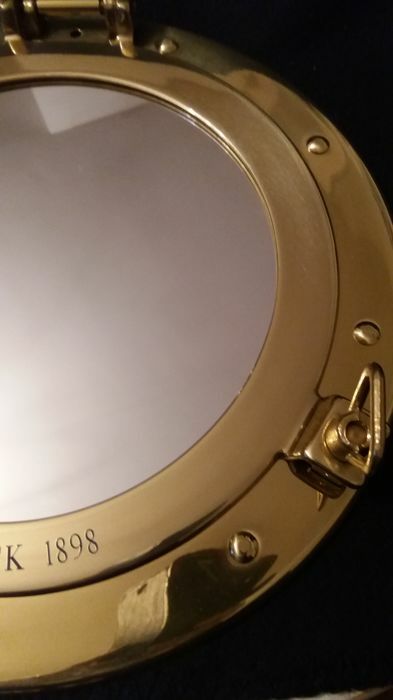 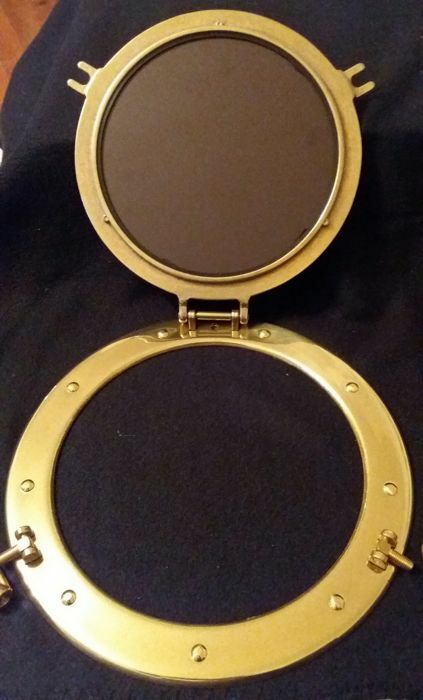 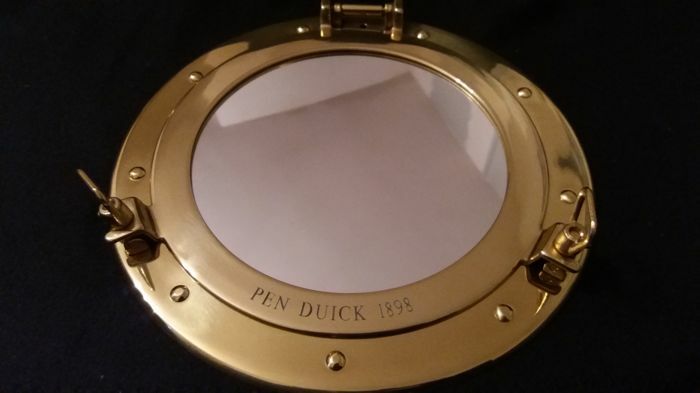 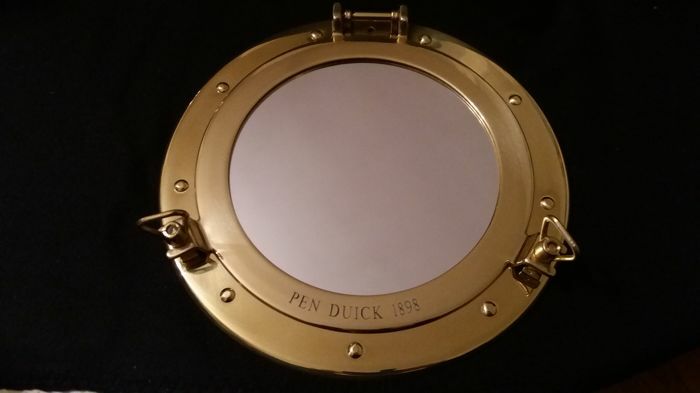 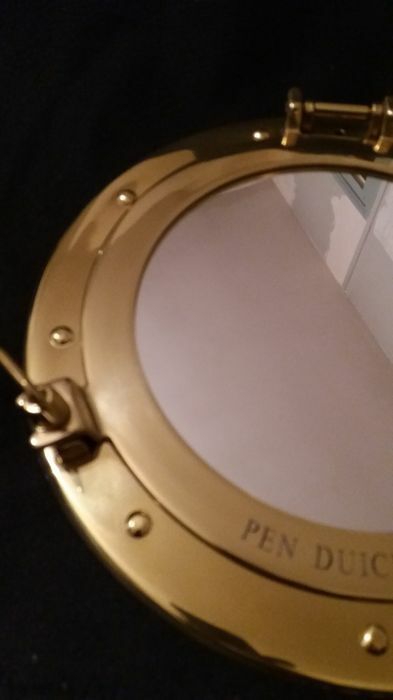 The porthole mirror has 2 locks which can be loosened to open the porthole. 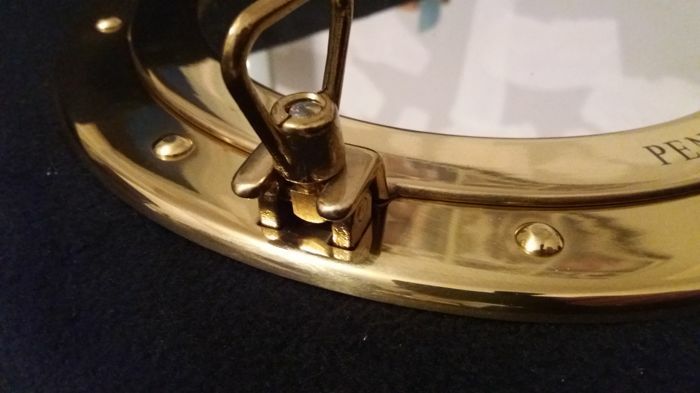 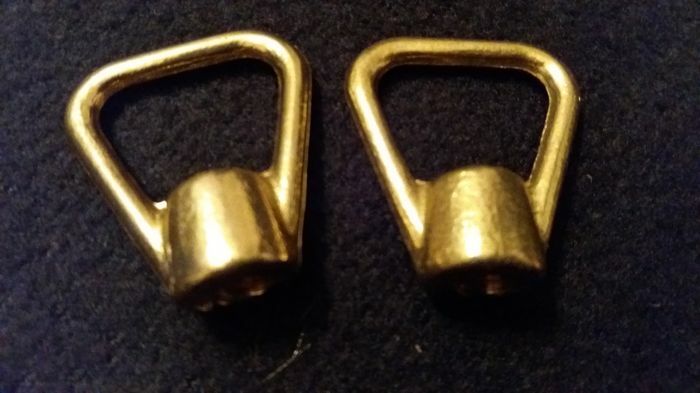 The holes of the fixing screw are located & hidden behind the opening window. 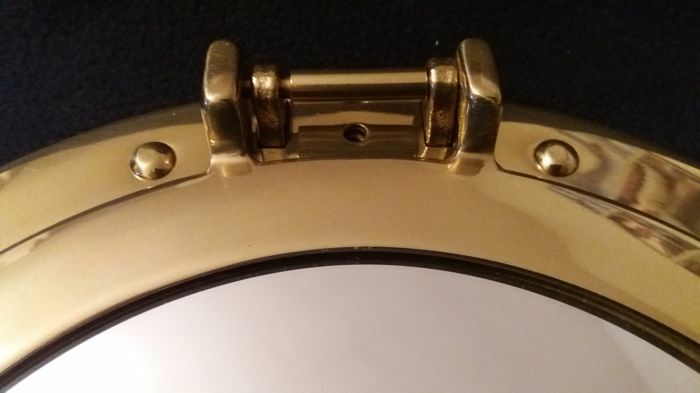 The frame mirror has realistic rivets and a lacquer finish that prevents it from tarnishing. 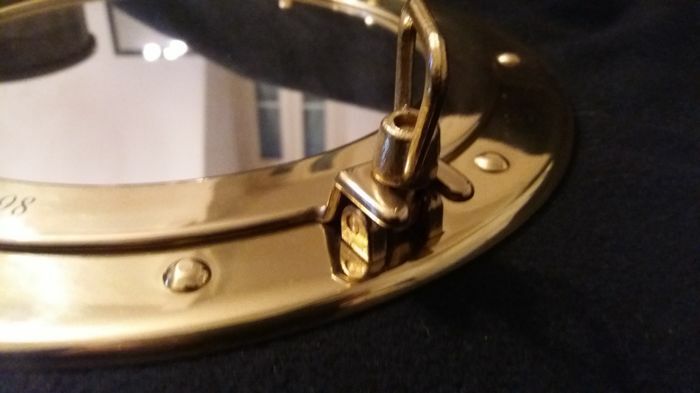 U kunt dit kavel ook ophalen bij de verkoper: Lescar (pyrénées atlantique), Frankrijk.